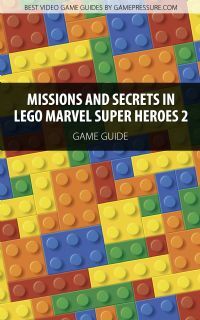 LEGO Marvel Super Heroes 2 Game Guide Strategy Game Guide and Walkthrough for Download. Get your special mobile or desktop version of our game guide. The core of the guide is a walkthrough for each mission found in game. Moreover you will find detailed walkthroughs for puzzles and the locations of every miniset, gold and pink bricks, heroes in trouble, and character tokens.